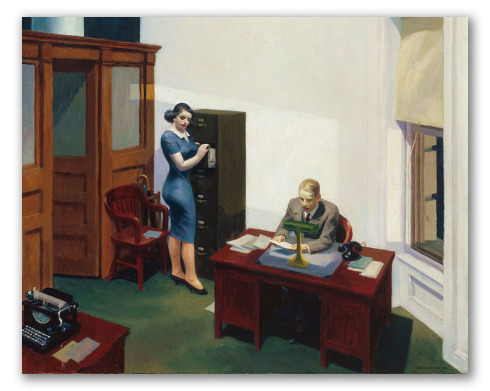 "Office at Night" by Hopper, Oil Painting Reproduction. 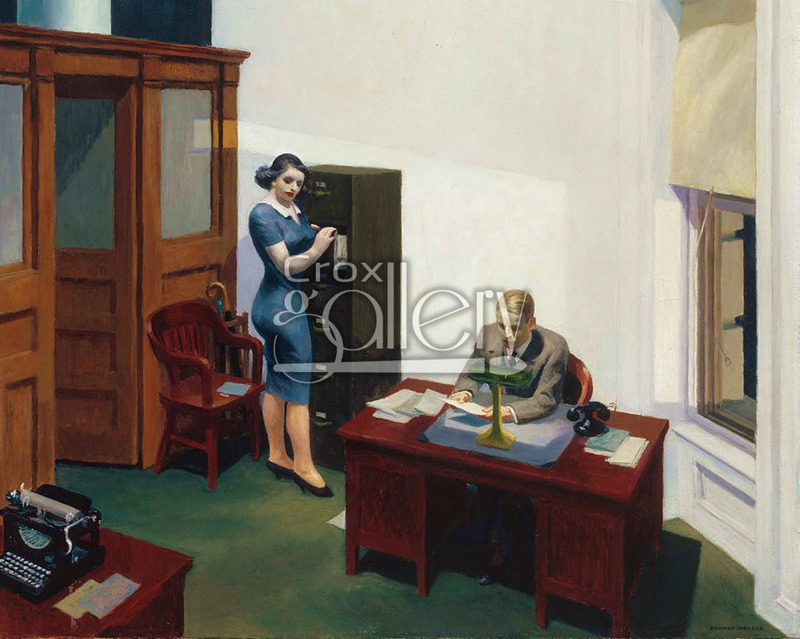 Office at Night shows a North American office of the 1930's, depicting an employee who stayed working late. This painting aims to illustrate the usual lack of warmth among urban New Yorkers of the time.